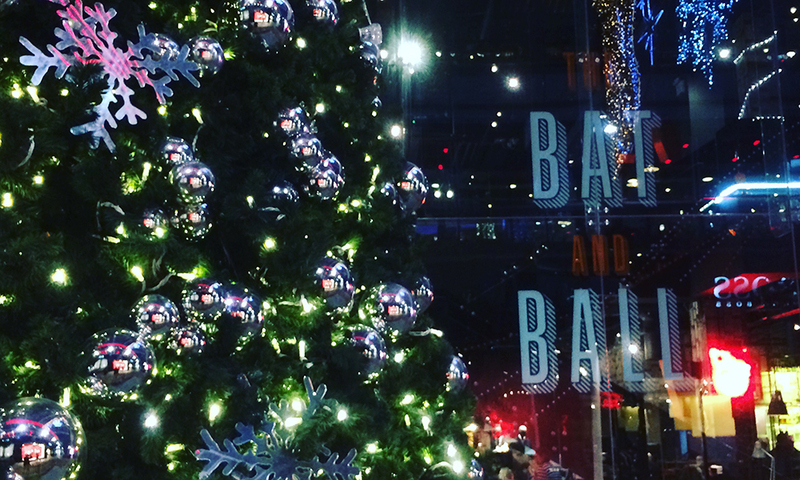 We promise you that you won't have had a Christmas party like what The Bat and Ball has to offer. 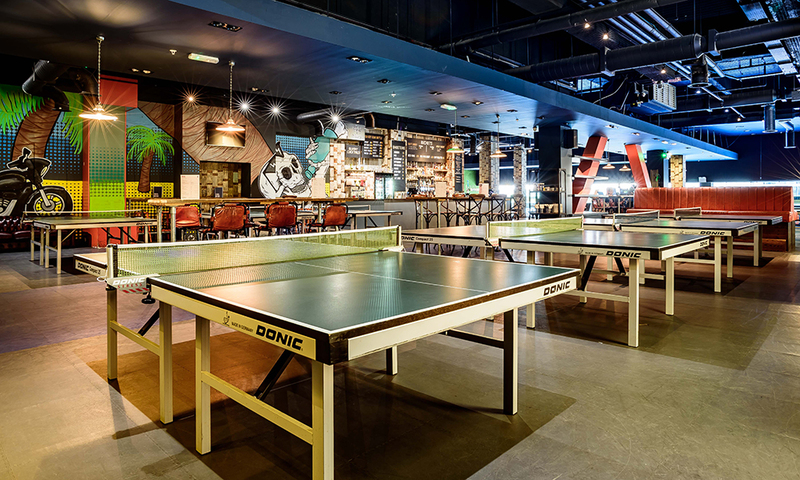 Gather your friends and colleagues and get your ping pong on. 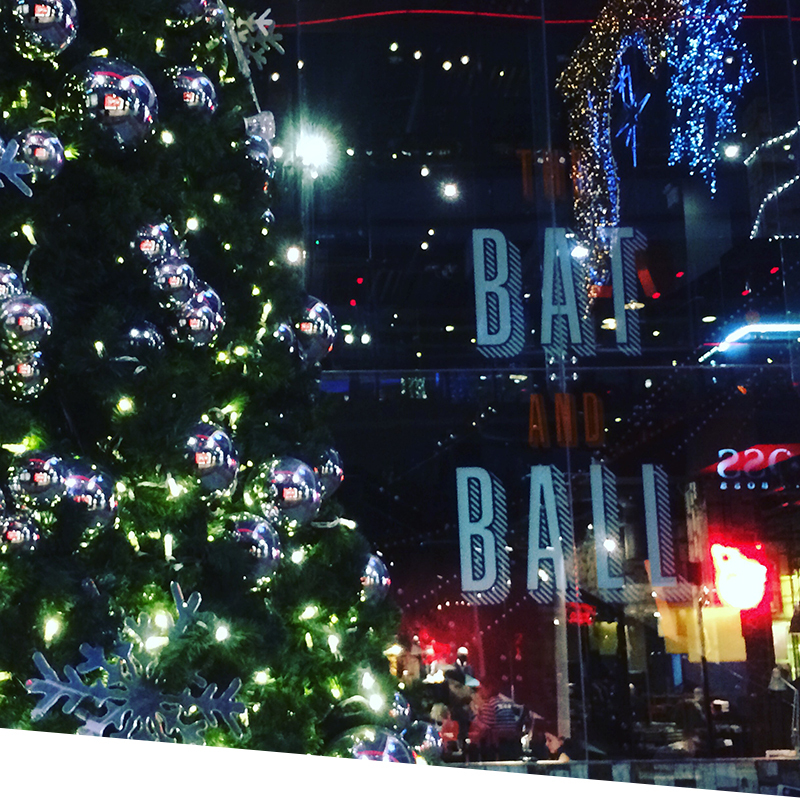 Located in Stratford, the Bat and Ball is able to offer both shared and exclusive Christmas parties featuring ping pong tables, beer and prosecco pong and shot roulette! We have dates available across November and December, please enquire for more details. For numbers of 20 – 100, we have a variety of additional event spaces available to hire. All of these spaces are available to hire on a minimum spend basis. Please select 5 0r 7 buffet choices from the categories below for the entire group. Ten full sized ping pong tables ready for tournaments, competitions and a spot of festive beer pong! 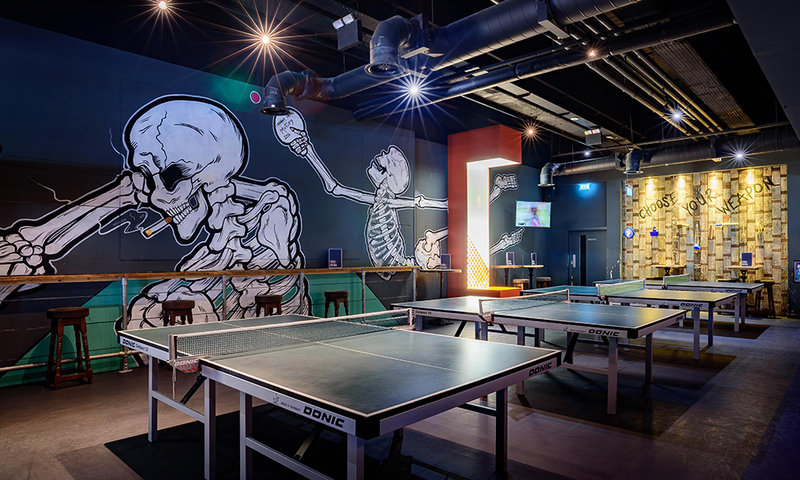 Enquire now about hiring our black light ping pong parlour. Got a star player? Challenge the ping pong robot. 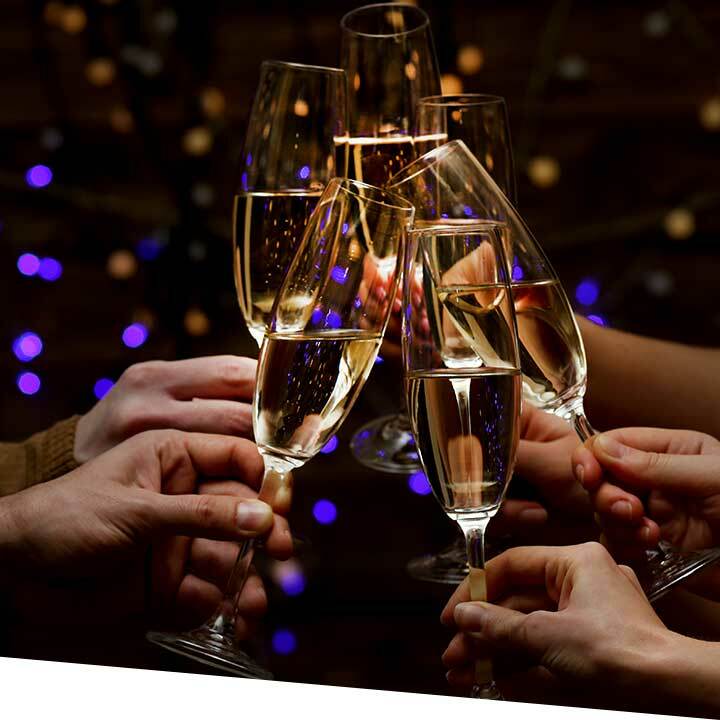 Contact our events team if you would like to customise your seasonal soiree or personalise gifts to your guests. Treat your guests to their very own custom bat this Christmas. T-Shirts / Tote bags / Mugs / Keyrings + MORE! 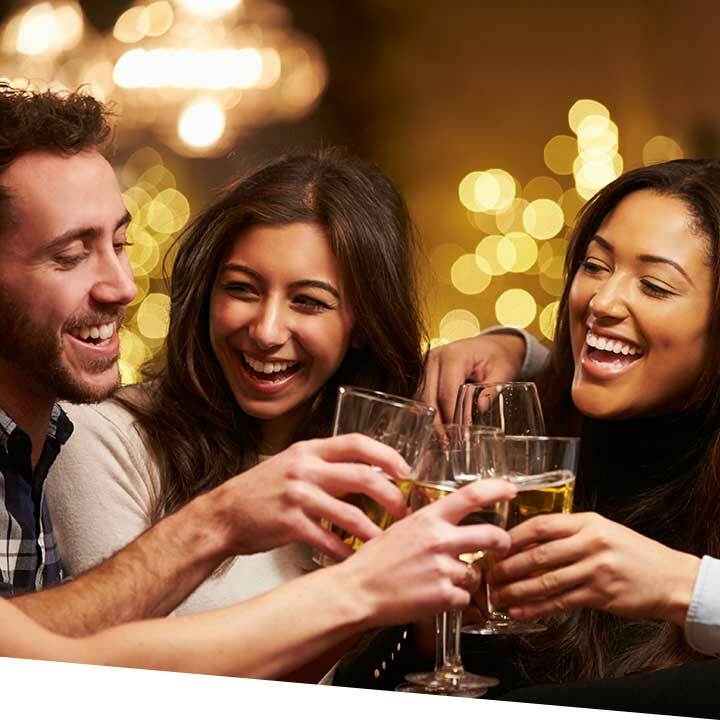 Get all your guests involved with one of our party starting Games Masters. Need a certain sound for your event? We have DJ’s for every kind of party. 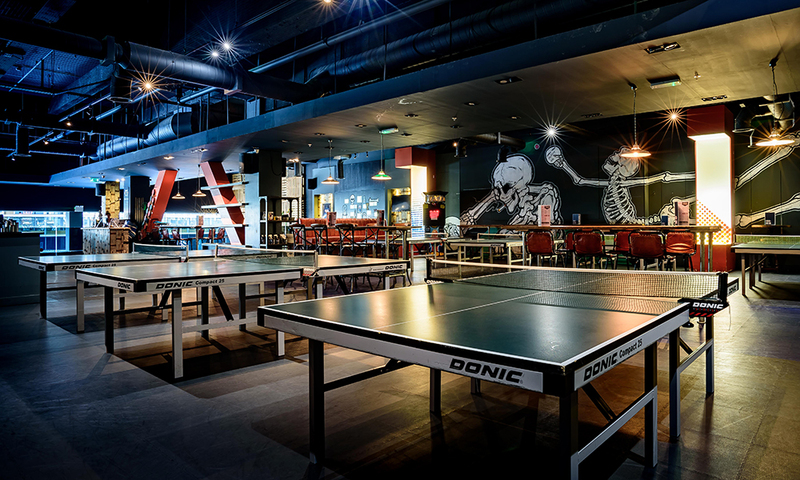 Spread across two huge floors and home to 10 professional sized ping pong tables, The Bat and Ball is Westfield’s largest and liveliest bar. 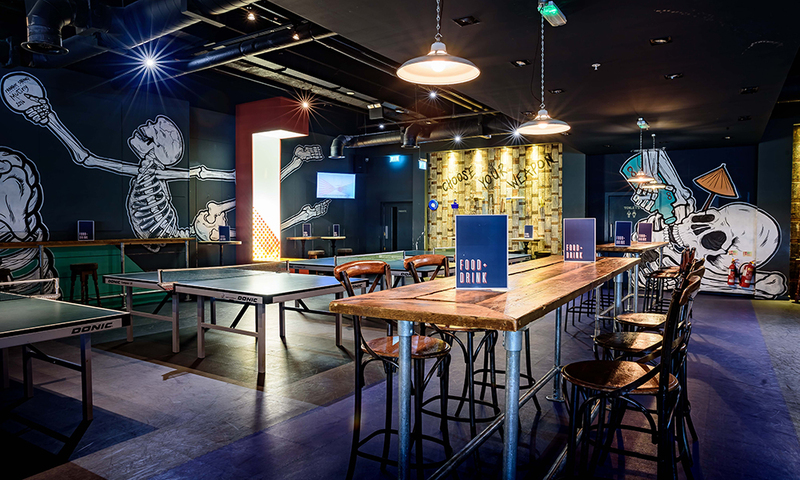 A haven for fans of craft beer, wine, cocktails and all things ping pong, you’ll find 10 championship tables and a pool table in the Upstairs Games Hall, regular weekend DJs, plus big screens aplenty so you’ll never miss a sporting event. Feast on our famous Well Street Pizza and wash it down with East London’s best selection of craft beer, all served up in our relaxing ground floor restaurant space. Located at Westfield Stratford City on the corner of Chestnut Plaza restaurants as you head towards the Olympic Park. 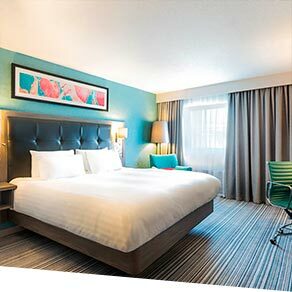 A two minute walk from Stratford train and bus station. Only 7 minutes from the City!